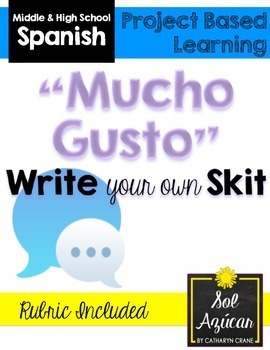 Beginning Spanish Write Your Own Skit - ¡Mucho Gusto! 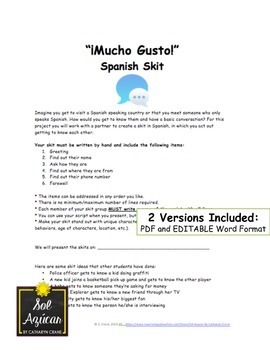 Spice up your first few weeks of first or second year Spanish with this fun project in which students write and act out a skit where they get to know a new person. Great interpersonal communication activity. This project is differentiated. 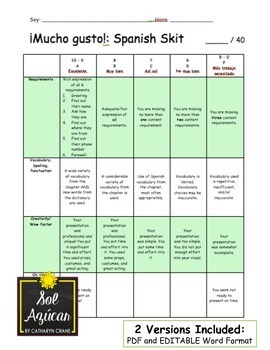 It will work for any beginning/intermediate Spanish curriculum and can be stretched for a variety of student performance skills, as it is open-ended.